Get ready to alter the senses in our stunning lace Illusion dress. The contrasting side lace panels will give you a knockout hourglass silhouette. 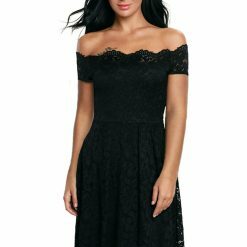 The beautiful lace continues on the shoulders, sheer sleeves and covers the entire back of the dress, giving the appearance of a completely different dress from behind. 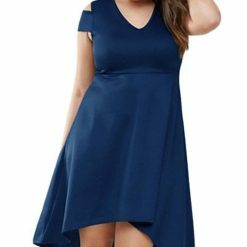 The silky stretch fabric on the front of the dress elegantly flatters your curves while the ruching in the mid-section masks any tummy troubles. 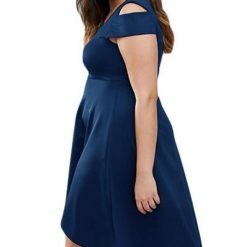 This seductive dress is finished off with a complimenting crossover sweetheart neckline for added appeal. 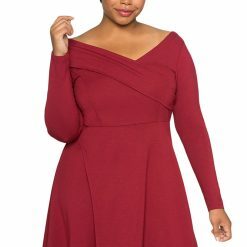 Hourglass, pear and slight apple shapes will work best with this dress.